APM Planner 2.0 is an open-source ground station application for MAVlink based autopilots including APM and PX4/Pixhawk that can be run on Windows, Mac OSX, and Linux. Configure and calibrate your APM or PX4 autopilot for autonomous vehicle control. 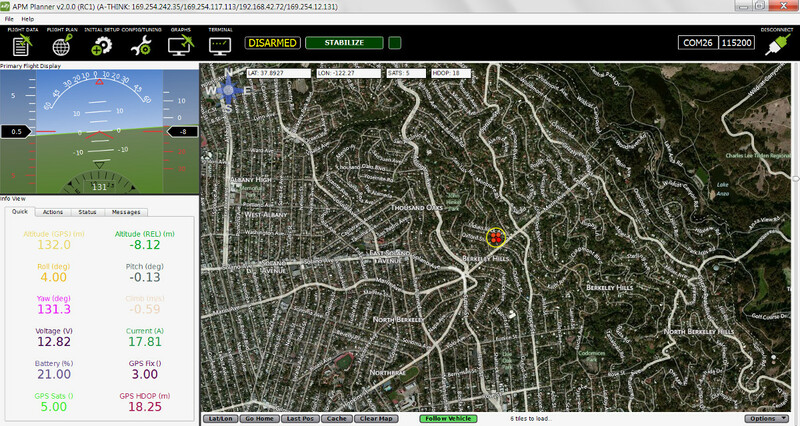 Plan a mission with GPS waypoints and control events. 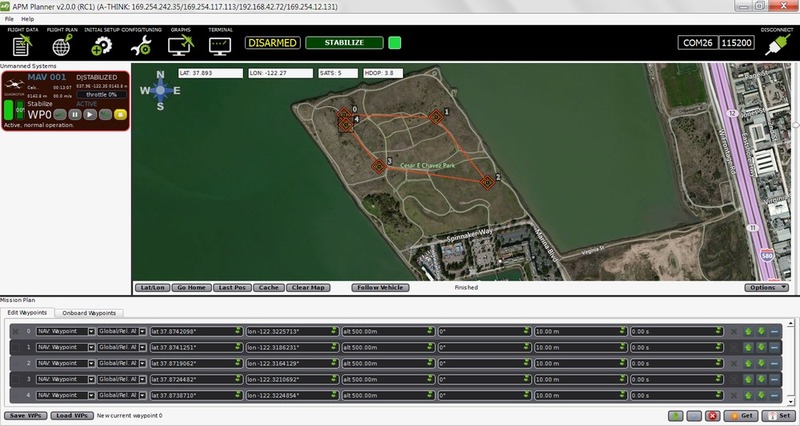 Connect a 3DR Radio to view live data and initiate commands in flight. APM Planner 2.0 is highly influenced by the simple user interface of Mission Planner and the cross platform capability of QGround Control. Check out the Credits and Contributors for more information! Install APM Planner for Mac OSX, Windows and Linux. 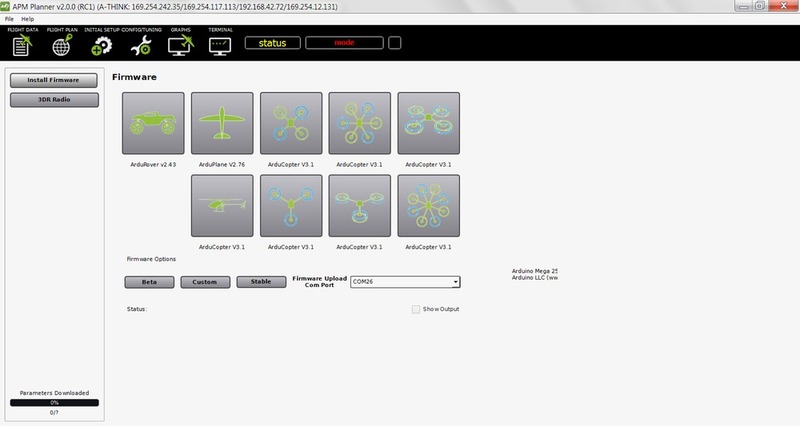 To setup your APM, PX4, or Pixhawk autopilot, complete the topics in the Autopilot Setup section. If your autopilot has already been configured using Mission Planner, there is no need to redo calibration. Connect to Mavlink and get to know APM Planner’s Flight Data. Plan a mission with APM Planner.